Of the philistines. In his youth he served as a sailor on the Volga ships. In 1907 he graduated from the School of River Navigation in Nizhny Novgorod. In 1909 for political reasons he emigrated. Through Finland, Denmark and Germany came to Belgium, where at that time was his brother Nikolai (? - 1934) - SR, later a scientific secretary PA Kropotkin. Then settled in Paris, first time interrupted by random earnings. In 1911 he settled in Montparnasse, often visited the artistic café Caméléon, approached the artists and decided to devote himself to art. Attended classes at the National School of Fine Arts, the Academy of A. Matisse, the workshop of L. L. Tolstoy, the Russian Academy (at S. F. Bulakovsky). He was fascinated by engraving, studied the ancient collections of the National Library. Married to the Polish woman Camille Climec (October 10, 1911), from which he had the son of George. Prior to the First World War, acted as an intermediary between Russian artists and the Independent Salon, helped the Russians participate in the salon expositions. In 1914-1917 he produced leaflets, posters and ads for Russian soldiers on the French front. He performed the first book illustrations: "About three knights and a shirt. The Story of the Thirteenth Century "by J. de Bezier and" The Deaf Words "by Amari (both by M .:" Zerna ", 1916), the bibliophile" King Lear "by Shakespeare (Paris, 1916). He was a member of the Board of the Turgenev Library (1914-1925). In 1919 he began to illustrate books for the Paris publishing house "Mornay", later - for publishing houses "Fayard", "Trianon", "Crès", "Pot Cassé". He worked in woodcutting techniques. In the 1920s and 1930s he illustrated about a hundred books, both mass and bibliophile. He made illustrations to the French editions of Russian authors: A. Pushkin's Fairy Tales (1919), M. Gorky's The Tramp (1921), Listrigoni (1924) and Yama (1926) by AI Kuprin, Diaries "by Leo Tolstoy (1926), etc. He designed the book" The Song of the Worker's Hammer "by KD Balmont for the Moscow State Publishing House (1920). The participant of the exhibitions: "47 artists" and "Hundred from Parnassus" in the cafe "Le Parnasse" (1921), graphic exhibitions in the gallery of book publishing J. Povolotzky (May 1921), exhibition of woodcuts organized by P. Bonnet (1923), International Exhibition of Decorative art in Paris (1925, the stand of the publishing house Quatre Chemins), group exhibitions of Russian artists in Paris (cafe Le Parnasse, December 1921, Caméléon, 1923 and La Rotonde, 1925, Chez Fast Gallery, 1927; Quatre -Chemins, 1928) and London (the Whitechapel Gallery, 1921). In 1925 he held a solo exhibition in the gallery Le Vermillon. He was friendly with SI Sharshun, MF Andreenko, KL Boguslavskaya, VA Izdebsky, NA Isaev, PA Khentovoi, communicated with F. Picabia, D. Rivera, M. Ravel, E. Satie, A. Modigliani, attended meetings at Villa Saïd Anatole France. He was a member of the group of Russian artists "Strike". He published screensavers, portraits, Parisian landscapes, illustrations (for the story "Muzhiks" by A. P. Chekhov, for the novel "The Iron Stream" by A. S. Serafimovich, etc.) in the left editions: "Clarté" (1921-1925), " L'Humanité "(1926-1938)," Le Monde "(1928-1929) and" Regard "(1937). 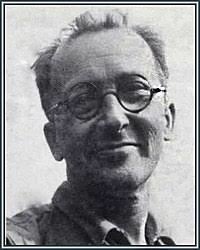 In 1926 he was one of the organizers and participants of the Moscow exhibition "Revolutionary Art of the West". In 1927 he settled in his house-workshop in Fontenay-au-Rose, near Paris. Participated in the Paris exhibitions: Illustrators book (1931), engravers and illustrators (1937), in the International Exhibition of the Art Book (1931, Petit Palais), in the salons Populiste (c 1932) and Les imagiers (1938, 1939). In 1932 he received the Grand Prix at the 7th competition "Meilleur artisan de France" (Best Craftsman of France). During the years of the German occupation of Paris he concealed several Jewish friends in his workshop. In 1946 the works were shown at the exhibition "In honor of the Victory", organized in Paris by the Union of Soviet Patriots. He created several hundred ex-librises, about 2000 easel drawings and 3000 individual engravings: views of Paris, fairy-tale subjects, genre scenes, still lifes, portraits (including L. N. Tolstoy, F. M. Dostoevsky, N. A. Rimsky-Korsakov, M. A. Balakirev, A. A. Blok, M. Gorky). In 1962 he was awarded the Medal of the International Congress "Ex Libris". In 1967, Fontenay-o-Rose hosted an exhibition of his works organized by the City Hall. Last years I spent in Nimes, the department of Gar. Due to eye disease, he was forced to abandon creativity. He was buried in the cemetery of Saint-Gilles, near Nîmes. In 1973 the memorial exhibition took place at the Museum of Fine Arts in Nîmes. Presented in the Pushkin Museum, the National Library in Paris and other museums in France. The artist's portrait was performed by Diego Rivera (1918).